We are overjoyed to announce that the Keenan family is expecting baby #2! Yay! Congrats! What a cute way to announce too! Congratulations!!! This is so exciting! How are you feeling? When are you due? So fun!! EEEEEEEEEEEEEEEEK! Congrats!!!! Super happy for your family! Woohoo!!! So excited for you! YAY!! Congratulations! I'm so happy and excited for you guys :) I hope you've been feeling pretty good! Sooooo beyond excited for you and your growing family!!!!! Such a blessing! YAY! I'm so happy for y'all! :) Can't wait to hear the details. I was kind of wondering when you said you were weaning Liam! Congratulations to you and your growing family! Always so exciting!!!!!! YAY!!!!!!!!!!!!!!! Congratulations!!!!!! So exciting! 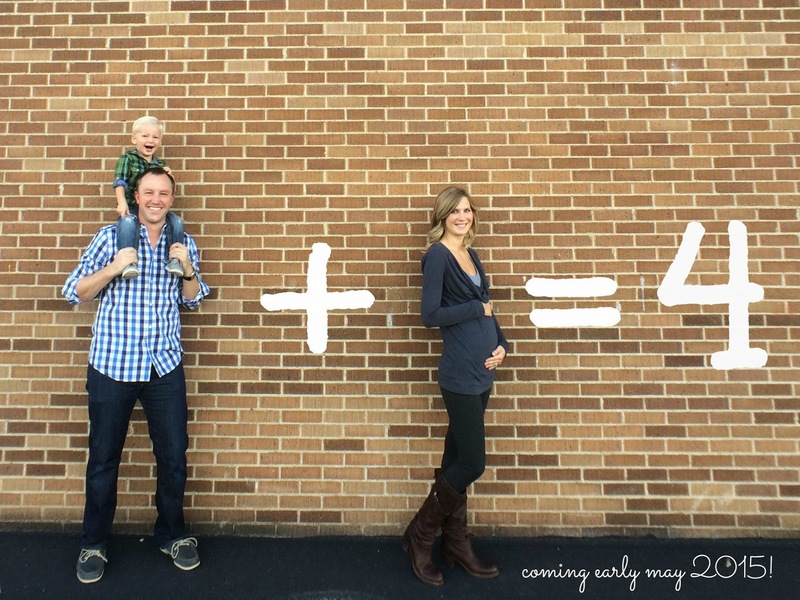 And SUCH an adorable announcement! Congratulations to you & your family! Love the announcement. Liam's face is priceless. Can't wait to read all the updates. I love your announcement picture! And, congratulations again!!! Such great news. Congrats! I am so excited for you and to follow along during this journey! OH MY GOODNESS!! HOW EXCITING!! I know you guys were really wanting to expand your family, so I'm so happy it's happening!